Twenty easy-to-play arrangements from Mozart's greatest works. 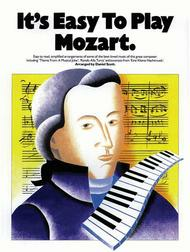 Includes Kyrie Eleison, Rondo (Eine Kleine Nachtmusik) and his Musical Joke. You'll be playing all your favourites in no time!